People who work in emergency services are our everyday heroes. First responders often have to risk their own lives to save others, so this type of service calls for selflessness and bravery. 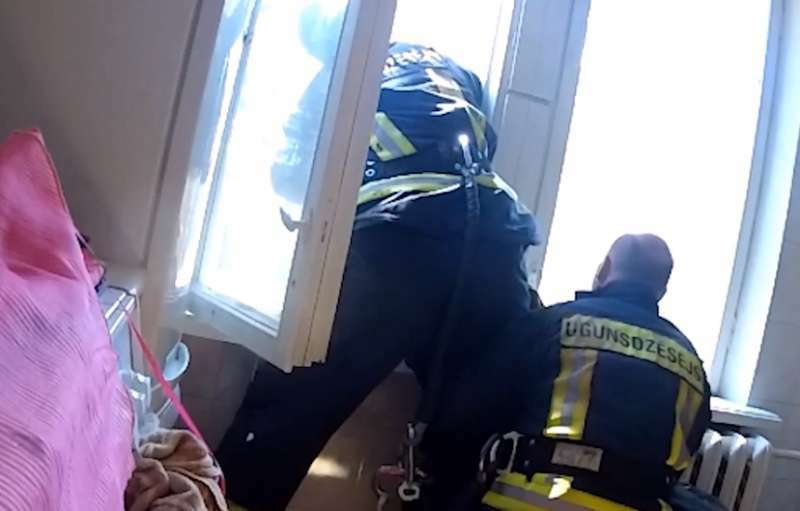 Two Latvian firefighters who took part in a rather unconventional rescue operation are a prime example of these qualities, and also ingenuity. We all know firefighters don’t only fight fires. They can be involved in all kinds of rescue operations, from taking kittens off the trees to saving people who intend to attempt suicide. Tomas Jaunzems and his crew responded to a call coming from concerned neighbors. A person sitting on the window ledge on the fourth floor was, apparently, about to jump down. The firemen knew, trying to get into the person’s apartment was too risky, it could propel him (or her, it’s unclear from the video) to jump. So they went to the apartment below and asked the person's neighbors to let them in. There, they opened the window, and Tomas leaned over the window sill to catch the poor man (or woman). His colleague held him, so Tomas wouldn’t get dragged and fall down. When the individual from the fourth floor finally decided to jump, Tomas managed to catch him (or her), and together with his colleague they managed to pull that person inside. He (or she) was then handed over to EMTs. This underlines the courage and the bravery of those working in our firefighting service and their ability to think outside the box which on this occasion resulted in saving the life of a human being. The work of the rescuers is very special; it requires courage, professionalism and the ability to act quickly and decisively in complicated and often non-standard situations. I am proud of these two rescuers of the National Fire and Rescue Service who saved a human life. These men are true heroes indeed!